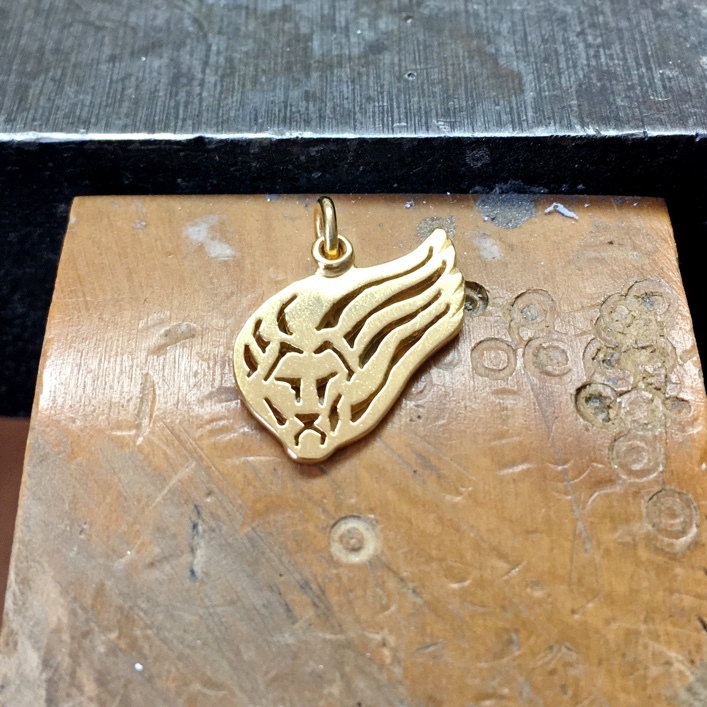 We were very proud to be asked to make this lion pedant for gold Paralympian rower Laurence Whiteley. A birthday gift from a friend to mark the winning of his first gold medal at the 2016 Rio Paralympics. Hand pierced gold plated solid silver. 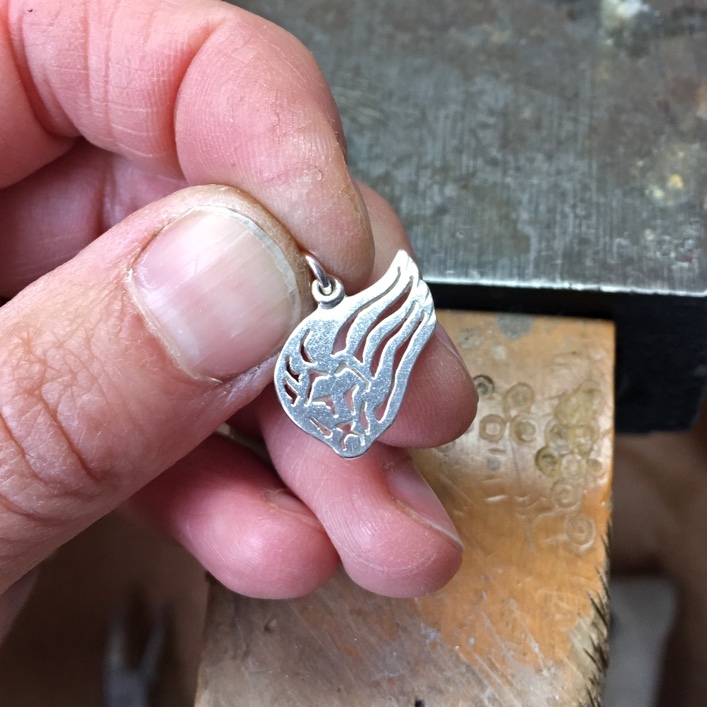 The finished charm, gold plate on solid silver.